Come get married in fun filled, action packed Orlando ! 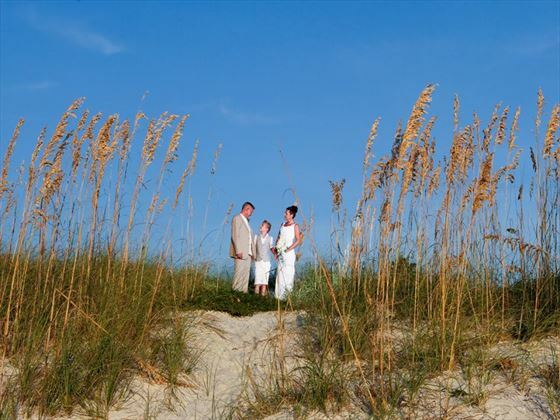 We are pleased to offer Sand Key Park for our beach weddings in Clearwater. It has golden sand, blue waters, palm trees, sand Dunes and romantic wooden boardwalks leading to the beach. 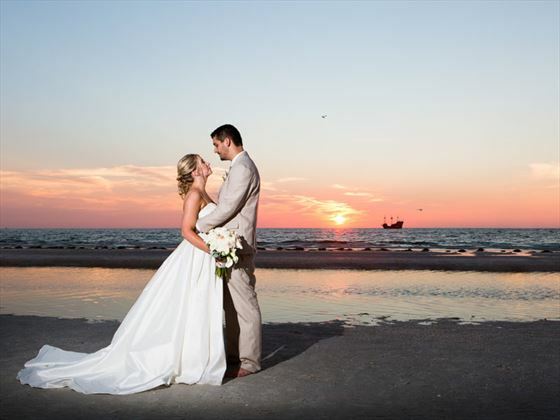 Sand Key Park is one of the most popular Beaches to get married on in Clearwater. 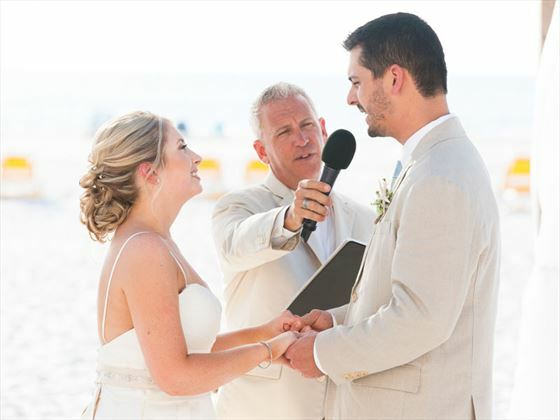 With its wide-spread beach, white sand, dunes, rock jetty, and beautiful sunsets, it makes for the perfect location for both small and large Weddings. 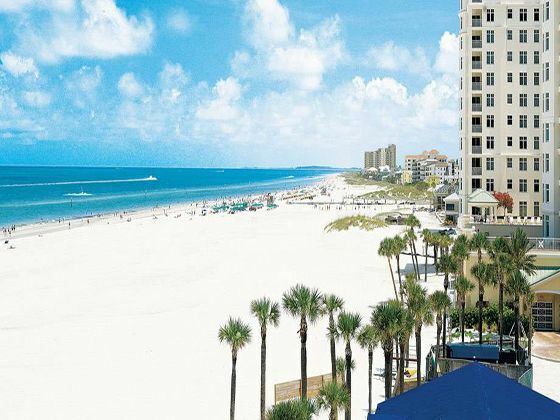 Sand Key Park is located just South of Clearwater Pass and is close enough to all of the major Hotels, Restaurants, and Bars along Clearwater Beach that you and your guests won’t have to travel far. 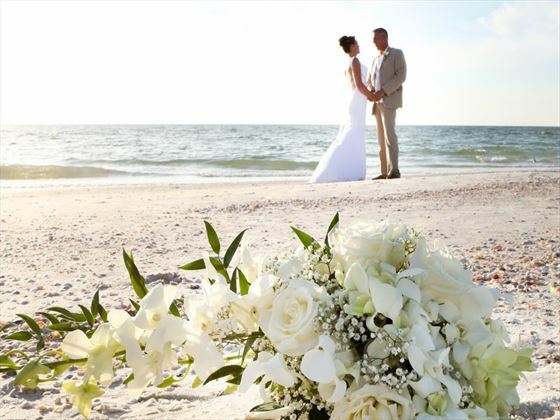 Sand Key has some of the most beautiful beaches in the world for weddings and is a perfect location for planning your destination beach wedding. Weddings are performed Monday to Thursday. 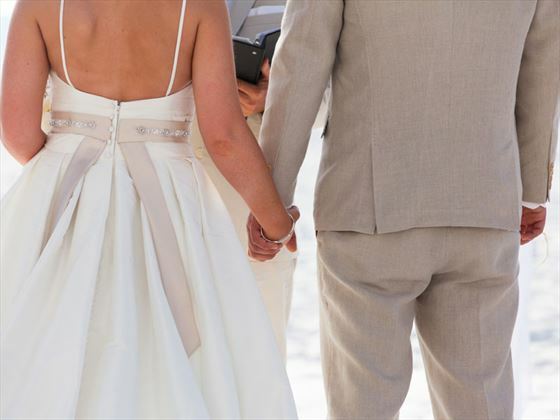 You do not need to be a resident of Florida to apply for a marriage licence. No minimum residency applies to overseas couples. (i.e. You are not required to be in Florida for a minimum number of days. The Wedding licence is obtained and paid for locally - approx. $100 in Pinellas County. Sorry but no confetti is allowed. 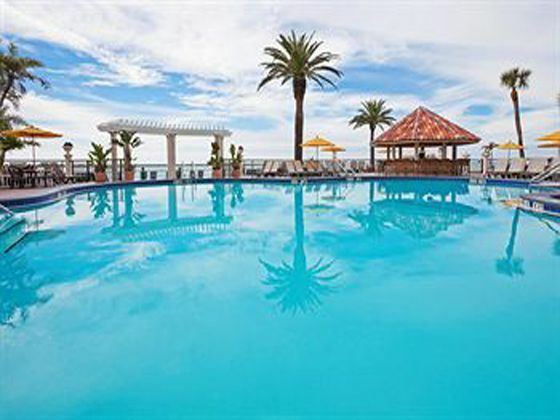 These are three of our favourite hotels in St. Pete Clearwater which are ideal for a wedding or honeymoon, but there are plenty of other great options available to choose from - please call us for details. 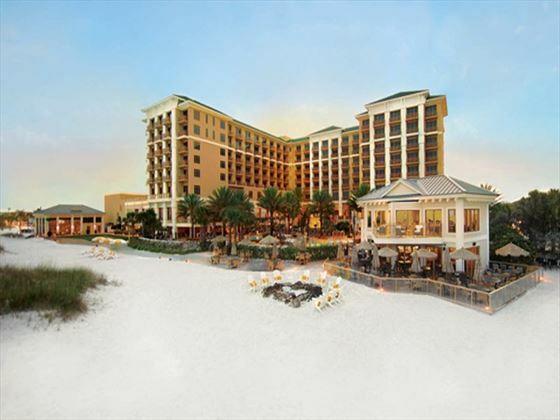 Why book your St. Pete Clearwater Wedding with American Sky?